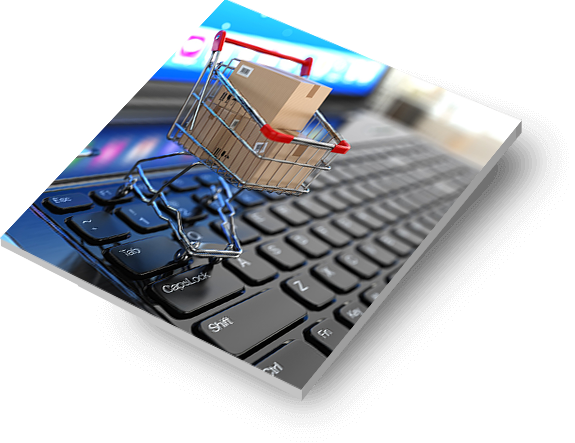 Itemised services to help your online store succeed digitally. Fully customized Magento deployment for e-commerce – We’ll fully customize the Magento application based on your requirement. This will ensure a seamless process with no additional features you don’t need. Marketplace customisations – Enabling multiple sellers to sell on the platform if you’re building a marketplace. Magento is perfect for this feature and we can build it as per your requirement. Omnichannel customisations – Want to integrate your brick & mortar establishment with your online store? Enabling omnichannel on your online site will give your physical stores the necessary boost they need. Brand store development – If you’re a single brand and want your site to focus only on your brand, we’ll customise the site with branding & store features. Custom themes & UI/UX Mapping – Customising the themes with mapping of seamless user experiences on various devices will increase your sales in the long run. Multi-currency functionality – Cater to more than one country? We’ll enable multiple currencies tieing in the shipping and logistics charges to your conversion metric. This ensures your pricing is always intact and what you want it to be. Shipping, billing & payment integrations – Logistics & payment integrations when done right, will increase the likelihood of the checkout stage. Complete theme customization – Creating customized themes to get your branding right with Shopify. Full-fledged integrations – Integrating billing, shipping, inventory systems, email servers, SMS gateways, etc. to improve on user shopping experience. Conversion rate optimization – User journey mapping and optimization to improve overall conversion rates. iOS & Android Port – Direct porting of your online store into native apps for iOS & Android. Theme Setup– Designing and developing custom themes to your business requirement. Integrations – Creating API based custom integrations to ensure your needs are met. Off-shelf components – Integrating ready third party plugins for Woocommerce. Custom modules & plugins – We’ll create custom plugins if necessary to utilize the native functionalities of WordPress & Woocommerce. Give your users the complete app-like experience and speed on mobile with progressive web apps for your store. We’ll help you port your entire store into a PWA for mobile. We’ll build native apps for your store and help with publishing on the apple & google play store. Tieing in SDK integrations for tracking and reporting to give you seamless reporting. Product-level data can often be complicated, we’ll help you simplify and codify the data specifications required for any product that goes on site. Creating documentation and upload guides to upload products seamlessly. When it comes time to catalog products, it’s often best to know exactly what parameters need to be documented. We’ll help set up guidelines for your cataloging requirement. Managing inventory and new products in bulk can cause entire systems to fail. Creating fail-safes and ensuring clean uploads is key. We’ll manage this activity to ensure site/app integrity. Sell your products in multiple marketplaces and your own store? We’ll create centralized inventory management systems to keep your order fulfillment rate high. If you’ve opted for a third-party inventory management system, we’ll ensure seamless integration with your store. Creating the right feed for Google Merchant Center and Facebook Catalog is essential for your business to conduct all marketing activity. Ensuring the feed is up to the requirement with multiple standards and additional values will ensure the success of all your marketing campaigns. Setting up enhanced e-commerce, linking merchant center, search console, AdWords, optimize and other Google products to analytics will give a clear picture of what’s working and what’s not. Setting up the Facebook pixel to record standard & custom events with extended variables will allow you to map the performance of campaigns and create many custom audiences for your campaigns. Creating automated exports and imports in suites like Data studio to give you a bird’s eye view of your store performance.